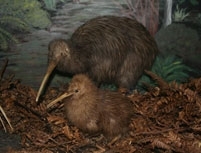 You are bound to see a kiwi on our guided tour of the nocturnal house. Enjoy a walk through the Otorohanga Kiwi House's original aviary and enjoy seeing native birds in a natural forest habitat. 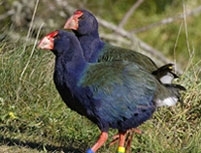 The park carries out a successful breeding programme, which includes kiwi, waterfowl, tuatara and native reptiles. World-renowned, 'must see' NZ attraction for any traveller. The Waitomo Glowworm is unique to New Zealand. Here you can see thousands of tiny creatures radiating their luminescent light throughout the caverns. They can be seen in abundance on the boat ride through the Glowworm Grotto. This fantastic trip involves walking, wading, swimming and tubing through the fascinating Tumu Tumu Cave at Waitomo. 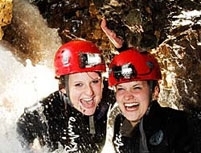 While there is no abseiling, you will spend at least 2 hours underground where you can take pleasure in viewing cave formations including stalactites and stalagmites as well as the famous NZ glowworms. 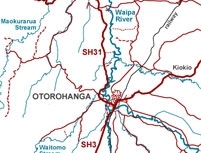 The Waipa River is over 30km in length and it is excellent for fishing. The surrounds are incredibly scenic and the river itself is the major spawning tributary of the Waikato River. It offers a wide variety of different waters to suit all types of angling and there is a very high population of rainbow and brown trout. Altura Park is situated among spectactular limestone formations just 4 km from the famous Waitomo Caves. After a friendly greeting when you enter the park you can mingle and interact with the friendly ducks, emu, deer, chooks, goats, rabbits, donkeys, mini horses, blue-tongued lizard and more. This scenic drive takes you from the SH 3/Waitomo turn-off across to the historical west coast fishing settlement of Marokopa. There are plenty of short walks en-route where you can explore caves, waterfalls, gorges and natural bridges. You may also find marine fossils that are millions of years old. 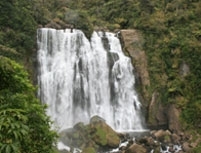 The Park is near Hamilton city, and it is best known for its most widely recognised landmark, Mt Pirongia (959 metres). The Park consists of four separate blocks of land, including Mt Karioi which is close to Raglan. There are walkways through the park and cycle tracks. 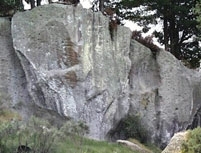 Wharepapa is one of the best rock climbing areas in New Zealand. If you're a visitor and looking for an adventure and some great rock climbing, then Wharepapa is one place you should have on your itinerary. There is 800+ climbing routes to explore some of which are marked. 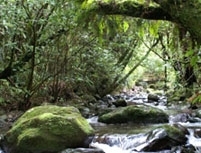 Maungatautari is an internationally significant restoration project which is 3,400 hectares. This forested, extinct volcano stands majestically on the landscape in the Waikato basin, between Cambridge, Te Awamutu and Putaruru, in the central North Island of NZ. 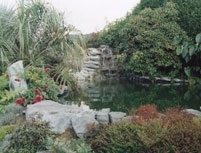 The rose gardens attract thousands of visitors every year. 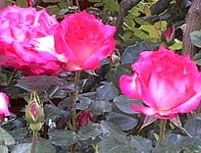 There are over 2500 rose bushes, with more than 50 varieties, most of which flower from November to May. The rose gardens were established in 1969, as a Jaycee project in conjunction with numerous community groups. 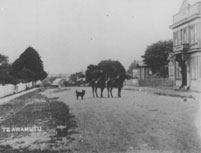 Te Awamutu Museum showcases the rich social history of Waipa District in the Waikato. It is a registered archival repository with full research services and is home to the internationally significant taonga Uenuku, and the Finn Brothers, NZ Wars‚ and Waikato Campaign collections. 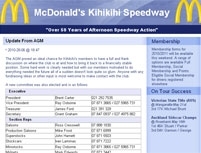 The Kihikihi Speedway offers many events and nights out if you are interested in motorsports. At Kihikihi you will find Stockcars, Ministocks, Production Saloons, Midgets, Minisprints, Streetstocks, Sidecars and plenty more. 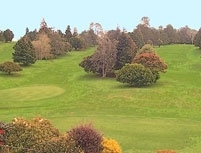 Just a few minutes drive from the famous Waitomo glowworm caves, is the Waitomo Golf Course. It is a full 18-hole, 5875m championship course. Visitors are almost always able to get on the course without delay. Raglan is surrounded by water and it boasts some of the best surf beaches in New Zealand. Raglan is famous for its clean breakers extending the length of the beach. Raglan also offers a relaxed township, stunning coastline and many cafes and restaurants. 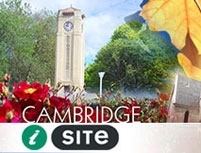 Cambridge, New Zealand is a charming little town which offers wonderful dining, shopping and activities. The city of trees is a spectacular place to be in autumn and the architecture and lovely oak trees are all very English. The history of Cambridge can be found at the museum.